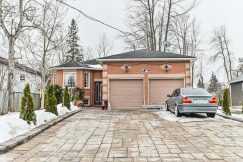 GREATER TORONTO – When it comes to detached homes in Toronto, resale inventory has been increasingly scarce in recent years — a trend that has driven up the prices of detached properties, while pushing hopeful buyers into the competitive new-home market. If the latest data is any indication, however, those high price tags are not limited to existing homes. According to newly-released numbers from the Building Industry and Land Development Association (BILD), the average price of a newly-built GTA home has crept above the $1-million mark, reaching $1,045,659 as of March 31, 2016. The figure reflects a 15 per cent year-over-year increase. In a statement issued on April 21, BILD President and CEO Bryan Tuckey explained that new homes are being purchased more quickly than developers can bring them to the market. 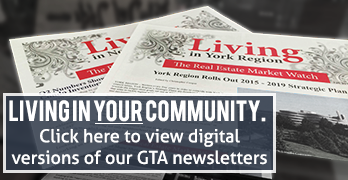 “The demand for detached homes is far outpacing supply as the GTA’s population continues to grow,” said Tuckey. “Our region has record-low levels of new detached homes available for sale, which drives up prices and reduces housing choice for consumers. BILD’s release reports that as of March 31, there were 1,634 new detached homes available for sale across the GTA — representing a dramatic 85-per-cent drop from the new detached inventory total of 11,149 that was recorded exactly a decade earlier, in March of 2006. Detached homes weren’t the only low-rise properties to experience a price increase for new inventory: the average price of new townhouses and a new semi-detached homes rose to $672,419 and $612, 487, respectively. While new high-rise inventory experienced a more modest year-over-year price increase of two per cent, a total of 1,560 sales in March reflected a 22-per-cent decrease from March 2015, and fell short of the 10-year average by 12 per cent. York Region’s March new home sales activity increased for a third straight year, with a total of 915 sales. BILD’s numbers are gathered by the Altus Group, the association’s official source for new-home data and market intelligence. For more details on BILD or to check out more studies, we encourage you to visit their official media page at http://www.bildgta.ca/media_releases.asp.